PriorityStart! 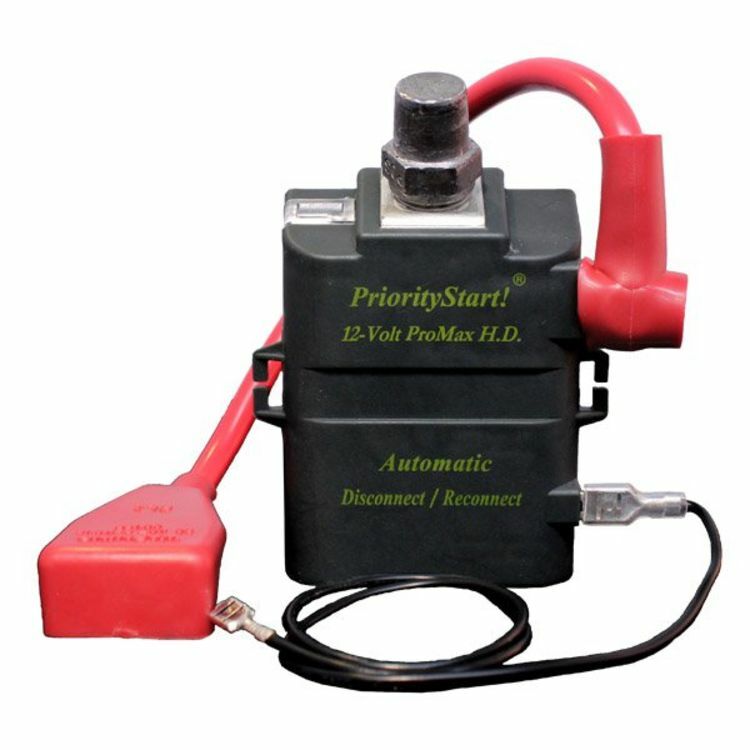 is the only automatic computerized on/off protection system for your battery, alternator, and electrical system in the market today. If battery voltage drains below 11.7 volts when engine is off, it automatically DISCONNECTS the load, leaving starting power. The 12v PROMAX HD is recommended for Law Enforcement, Work trucks, Heavy Duty vehicles, and any vehicles with increased electrical/load demands. To RECONNECT and START: simply step on the brake pedal, activateheadlights, or operate any other accessory, and starting power is RECONNECTED! No buttons to push, no switches to flip, and there is no hardwiring. It's positive to positive, with a ground wire, and you're done. Do you own the PSI-12V-PROMAXHD? Please, tell us what you think about it. It helps us provide you with better products. Please note that it may take up to 72 hours for your review to appear.